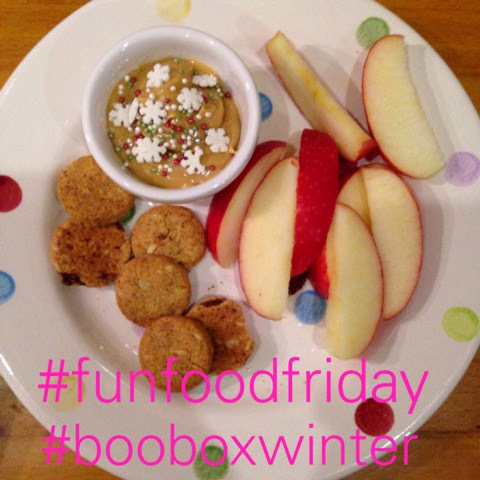 It's been a while since I did a #funfoodfriday post and I'm determined for 2015 to post one each weeks. This snowflake snack I made for T and his cousin, it was very simple but both wolfed it up in minutes. And that was it, I'm trying to find some healthier snacks for T as we've allowed him to get into a bit of a habit of eating too many chocolate and sweets. This one gives him one of his 5-a-day, a portion of whole grain and some protein, whilst seeming like a treat.